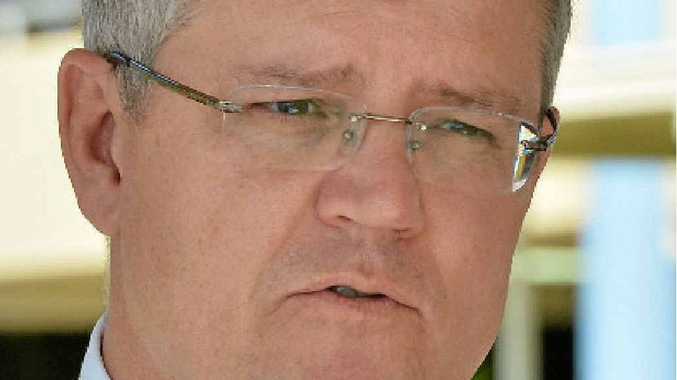 THE Federal Government gagged debate on a motion calling on Immigration Minister Scott Morrison to explain the status of asylum seeker policies on Wednesday. Manager of Opposition Business Tony Burke called on Mr Morrison to detail the state of discussed regarding a potential people swap deal with Indonesia. But the motion also called for explanations on the success of the government's policies in "stopping the boats", "turning back the boats", and buying boats from the south-east Asian nation. However, Leader of the House Christopher Pyne quickly moved to gag debate and, while Mr Morrison voted to support the gag, he did not speak while in the chamber. Opposition immigration spokesman Richard Marles, outside the chamber, hit out at the gag motion, saying Mr Morrison was gagging himself. He said the gag motion had prevented debate on what he called a "culture of secrecy" surrounding immigration and border protection issues. Mr Marles said by voting for the gag, Mr Morrison reflected circumstances where the public got more information on immigration issues from a Jakarta newspaper. Response has been sought from the Minister's office.